With the bulk of Latin America under socialist control and Ecuador and Nicaragua looking likely to fall in elections in the next few days, things don't look good for freedom on the continent. But aren't these simply democratic changes to empower the poor and enfranchise the downtrodden? Surely Latin American Socialism is a softer kinder kind than that practised in Russia or China? 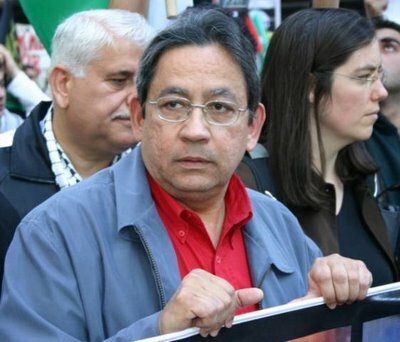 Nelson Davila is Venezuela's ambassador to Australia. He is a revolutionary socialist and Hugo Chavez's main propagandist in the South Pacific. While in NZ as a guest of Socialist Worker he gave an interview to Daphne Lawless, editor of SW's September "Unity" magazine. N Davila Yes, in Venezuela today, there are still two states-the revolutionary state we are creating and the old reformist bureaucracy which is in its death throes. The best way to ensure the fading away of the old state is to strengthen the revolutionary state, including the new structures. D Lawless Must there be a final showdown with the Venezuelan oligarchy? N Davila Definitely. The Venezuelan revolution will bury capitalism. We believe socialism is the only way to bring happiness to our people. Our republic is a transitional state towards constructing the Bolivarian Socialist Republic of Venezuela. D Lawless How much of the Bolivarian revolution is a pan-Latin American movement? N Davila The dream of Simon Bolivar was uniting the continent to form a real power in the world. From this idea, which is still relevant today, come efforts by president Chavez to deepen Latin American integration. Jim Tully, NZ's Most Influential Journalist? Why Don't the MSM Tackle The Socialists? Are The Sandinistas Coming Back?